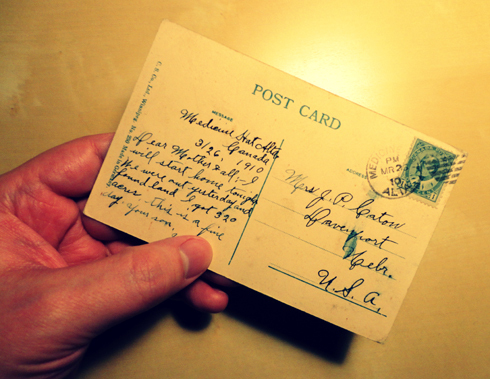 This vintage postcard is one of the oldest in my collection. 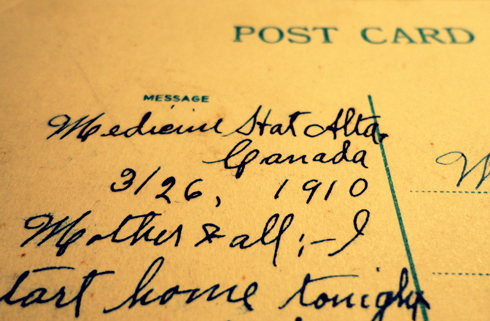 I posted it today because it was mailed 103 years ago on March 26, 1910. 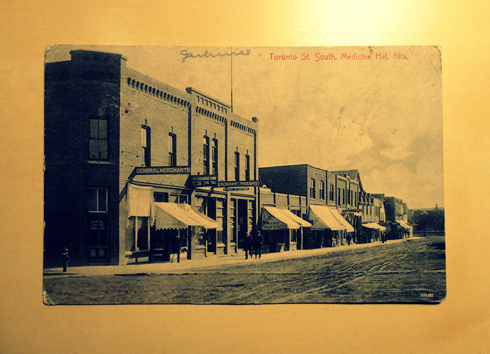 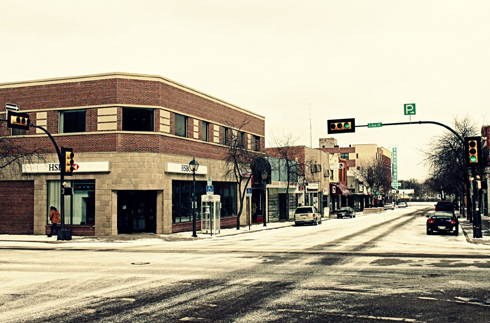 The card shows a downtown scene on the corner of Toronto Street (or 3rd Street) in Medicine Hat, Alberta. 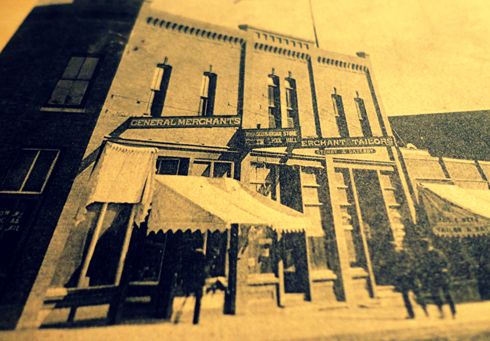 The image is likely from years earlier, as the street became increasingly built up around 1910 and vehicles started to become present. 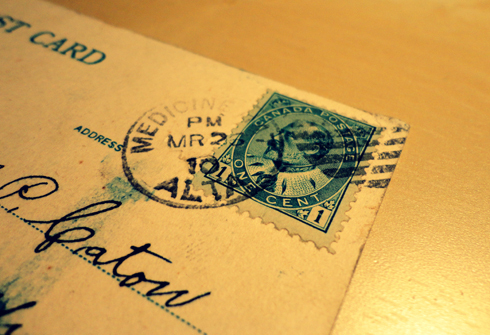 As with all of these old postcards though, finding the exact print date is tough. 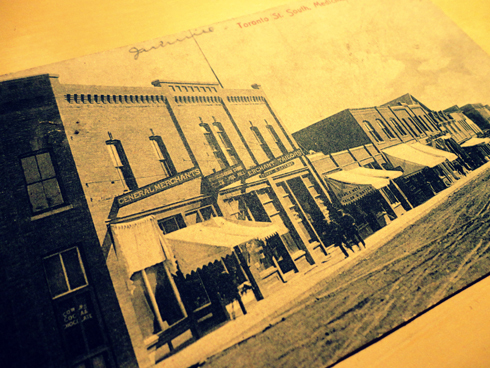 What's really neat about this postcard in particular is that it highlights the historical storyline of the area. 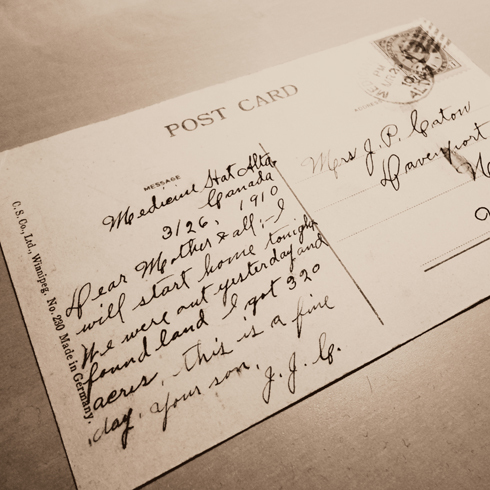 The man who wrote this message was sending it back to his mother and family in Nebraska to let them know that he found land and got 320 acres. 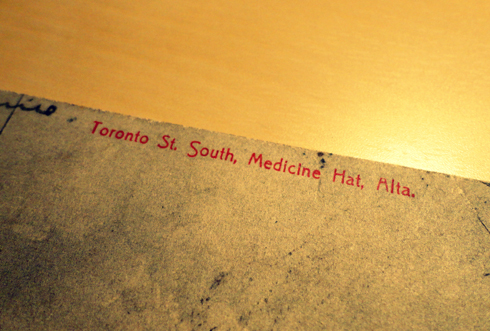 According to my research all homesteading plots were surveyed as quarter sections of 160 acres, so this guy acquired two sections. 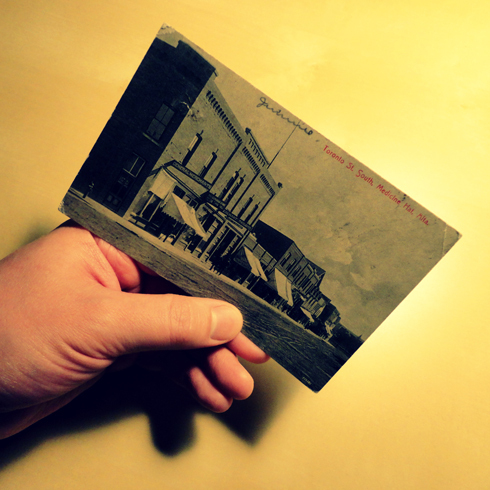 I love these old postcards with stories attached to them, and for good measure I photographed a comparison shot of the street today.